Looking at the calendar, I realize I'm in the peak of my final training cycle for North Fork 50 mi. I'm feeling pretty solid and my only issue is a tiny voice whimpering from my right IT band. I blame that with not doing my Bikram Yoga this past weekend. Monday: 9 mi Treadmill run (quite the rarity for me). The wind and rain sent me indoors for once. Did some tempo work and ran some sub-6 miles, then backed it off with 15% speed hiking. Felt like a beneficial session. Tuesday: 21 mi Out n back on Mesa Trail and one loop of Doudy Draw and El Dorado canyon. Wednesday: 12 mi Dry Creek Trail, groomed trail to 7-11 and back. I rarely use the trail any more but it's still awesome for convenience sake. 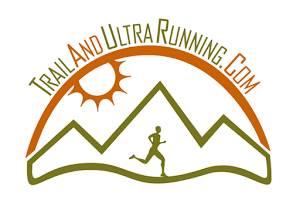 Thursday: 13 mi Bear Peak run via Shadow Canyon @ S. Mesa. The temps were hot, but it was a beautiful view today. The 14ers were clear to the east and asking me to come spend time with them. On the way back, some guy was kneeling with his dog. He said, "Don't worry, he's nice" referring to his dog....and as I ran past, the dog started attacking my shoe....he bit me twice but didn't cut me or the shoe. It's karma...I have a dog that gets me in trouble. Friday: Bikram Yoga: 90 minutes. I actually spent a couple hours trying to decide whether to run or hit the yoga. I eventually made the right choice and woke up early for class. My IT band, back, and hips, were starting to flair up. I didn't do yoga the previous weekend and, of course, it caught up with me. But now, having attended my 90 minute Bikram class, everything feels right again. I didn't notice my buddy Dave Clark was in class until we were almost done...I can't say that all yoga is as beneficial as Bikram...in Bikram yoga, it is performed in a 105-110 deg room w/high humidity. The postures are guided by a well-trained instructor and, in the very ancient traditional manner, moving meditation takes place. It helps me with balance, flexibility, focus, and strength...and with high mileage, I don't feel I could remain uninjured without weekly yoga. It is the ying to the yang....can't say enough positives about it. 4 mi jog alongside little Jalen on his bike. (5 years old). 13 mi @ S. Boulder. Ran north on Mesa for a few miles and ran into a buddy, David Garcia. I turned back with him for a few miles so we could catch up on stuff. Then ran through Doudy Draw/El Dorado Canyon area for 13 total. 2 mi: My son, Jalen, was really bummed out he and I didn't ride/run together since I mentioned "trying again later" when we first did it in the morning. So, we headed out again until it was dark....out and back to a 7-11 for some treats and THEN home. He's 5 and rides a Trek kids bike, averaging 7 mph alongside for distances, so far, up to about 6 miles. Another way to get mileage! Sunday: 12 mi Dry Creek Trail. A convenient groomed trail that connects my neighborhood and, at 6 miles, a 7-11 and Road Runner Sports. What could be better than that?